Pretty much everything about Lookbook’s newest LP, Wild At Heart — including their choice of album name — confirms that they remain deeply enamored with the 1980s. With their synthpop sound under lead vocalist Maggie Morrison’s wail, which is most aptly described as a fresh take on Cyndi Lauper’s signature moan, Wild At Heart is able to find success with just the right mix of modern electronica, ’80s new wave, and earnest vocals. While the album isn’t flawless, those of you who aren’t opposed to dancing ala Madonna in a lace leotard may soon find that at least a few of these tracks were made for you. Lead-off track, “Over And Over,” is one of the top tracks on the album. At first glance, the song would seem unlikely as such, technically speaking. The track is less than three minutes, and the beat builds for over half of it. It has a video that involves a lot of singing in the rain scenes, and to be honest, that’s the entire video. The only instrumentals played during the first half of the song are two to three guitar notes and a kick drum. None of this is important, though; it is the very simplicity of the song working alongside the pointed vocals that gets the point across. Morrison spends the duration of the track pretending to be a calm human being only to go nuts at the end, and ultimately, that’s what’s so great about her. 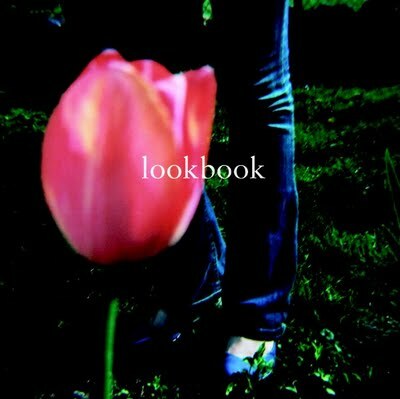 But while Lookbook’s simplistic style works in their favor on many tracks, some of the album does feel underdeveloped. “Yesterday’s Company” has potential, but just when you hope the beat’s going to drop, it continues to build for another few minutes — at which point you fall asleep on your desk only to wake hours later confused and bewildered. When the beat does finally kick in, the chorus and vocals seem unrefined and slightly raw, which is decidedly disappointing for such a build up. If mixed down with more a powerful melodic backdrop, this song would be easily salvageable. If a few dull interludes won’t throw you, Wild At Heart will prove to be worth your time. There are only a few moments of respite from Lookbook’s thesis, which should — if it exists — read, “Gone back in time to punch dance.” They are definitely on track to building something which is, at the very least, nostalgic. At best, it could potentially be quite striking. The choice about where they are going to push themselves is out there, and as a listener, you get the sense that Lookbook already knows it. The rest of us will just have to wait and see.